Dogs can be quite lively while playing, running and jumping and their excitement can lead to a bad accident. Even a fall from a very short distance, like getting off the couch can result in a broken bone. If your pet suffers a severe injury such as a broken leg, contact your veterinarian immediately and let them know that you will be bringing them in. The quicker the injury can be treated by a vet, the better your dog’s odds of healing. 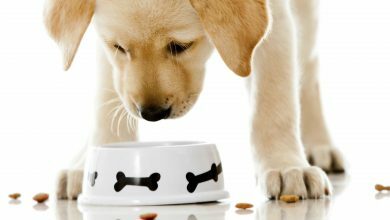 If your dog is in severe pain you can ask your vet if there is anything that you can give them to help relieve the pain. It is imperative that you do not give your dog any over the counter medication without your vet’s approval. 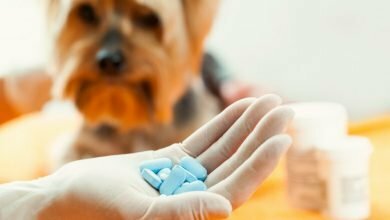 There are many over the counter medications that can be fatal to these pets. If you are able to, splint the animal’s leg to prevent it from making the injury any worse. It can be quite traumatizing seeing your dog in such excruciating pain, but it is important to stay calm. 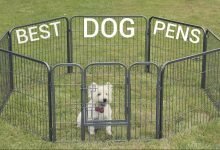 If you get upset and anxious this will make it worse for your dog. 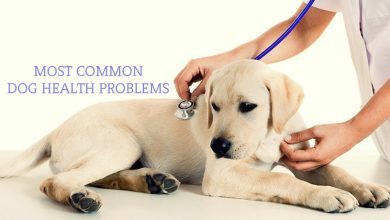 Yelping, whining and limping can be signs that your dog is hurt. You will want to do everything that you can to make them comfortable and help alleviate the pain. But if the leg is broken, you might cause more damage if you try to treat it yourself. Your veterinarian will be able to examine the dog and determine the seriousness of the injury. 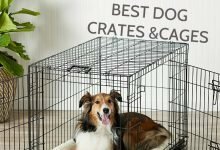 They will be able to provide the treatment that your dog needs. It is easy to detect if your dog’s leg is injured. The dog will be limping or refusing to walk altogether. However, these symptoms alone aren’t enough to point to a broken leg. Other signs include extreme pain, swelling, and lameness. If your dog is able to walk it will limp and will not be able to put any weight in its leg. If you think your dog has a broken leg, it’s very important to get them to the veterinarian immediately. 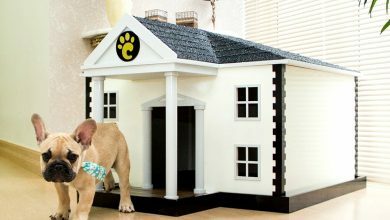 Getting your dog to the veterinarian can be quite difficult. If this is not done correctly, the injury can be aggravated causing your dog even more pain. If you have a small dog you will be able to carry it very carefully. If you have a large dog who is still able to walk, help them to the car. You will need to help them get in. If your large dog cannot walk, lay them on something that you can use as a stretcher, on their un-injured side. If at all possible have someone help you get them into the car. It is also a good idea to have someone help you take them to the vet. The dog needs to stay still and this is difficult to do while you are driving. When you speak to your vet ask them if you should put a splint on the leg. In most circumstances, it is important to immobilize the leg so that no further injury will occur. While there isn’t much you can do for a broken bone, you can apply a splint to help stabilize the break. Inspect your dog’s leg and clean off any dirt or blood if possible. Rinse the wound with clean water and a saline solution. Try not to touch the wound as this might cause the dog more pain causing it to jerk or bite. 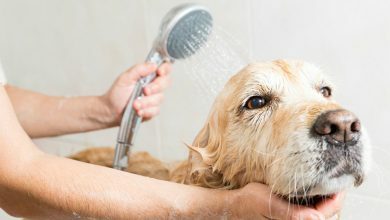 Dry off the area as well as you possibly can and apply an antiseptic that is safe for dogs, if it is available. Using a clean piece of clean cloth, bandage the dog’s leg by wrapping it around the leg several times making sure that it snug but not hurting the dog. The bandage needs to extend past both sides of the wound making sure that it is covered completely. Secure the loose end of the bandage so that it will stay in place. Find an object that you can use for a splint, such as a ruler or a thick piece of cardboard that will be strong enough to keep the dog’s leg stable. For smaller dogs, you can use a spoon or a pencil. Attach the splint by firmly wrapping the additional cloth around it or by winding tape around it. If the dog’s ankle is broken make sure that the splint covers the paw all the way up to the knee. Take your dog to the vet as soon as you possibly can. The vet will likely want to take an X-ray of the wounded leg to check to see if it’s broken and decide the best treatment plan. If the leg is broken, your vet will talk to you about the best treatment option. They might be able to simply set the leg and put it in a cast, or in some instances, surgery might be the best option for repairing the leg. Many factors will go into determining the best treatment for the broken leg including the age of the dog, location of the break and type of fracture. Follow the instructions that your vet gives you regarding cleaning the wound, administering medication and activity level. You will want to do everything that you can to avoid reinjuring the leg. In many cases, your dog will have to continue to wear a splint or cast. You will want to do everything that you can to avoid reinjuring the leg. Don’t forget that wounded dogs are just frightened and this can cause them to growl, bark, bite or yelp when you get close to them or their injury. They are not themselves at that moment and they are scared, they don’t mean to be aggressive. They could be the nicest dog in the world, but under these unfortunate circumstances, they might be very violent. You could possibly need assistance restraining them and putting the splint on their leg. If they are really aggressive and trying to bite use a muzzle so nobody gets hurt. Continue to speak to them calmly and try to comfort them. They are scared and they need you.